Search Engine Optimisation of any blog can be divided into several parts but some parts are important and very effective to blog visibility in search engine in very low time period. In this submission process you have to verify your blog ownership for more trust and visitors. This process will take time to refer visitors on your blog but be patients for getting incredible count of visitors on a blog. In of Start a new blog this is the only way from where you get visitors for motivation, social media marketing is a necessary factor of blogging, make sure to share your every new blog post on several social media platforms for getting interest of visitors. • don't use anybody else title in your blog this can be a damage to your blog according to Google policy. Backlink is like support link which tells Google that this website is trusted and have quality content which increase your website Crawl rate which will result in visitors. 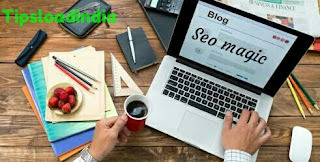 You may also write several guest post on different website for get more response from visitors, if you blog go viral you don't have to make any more efforts.